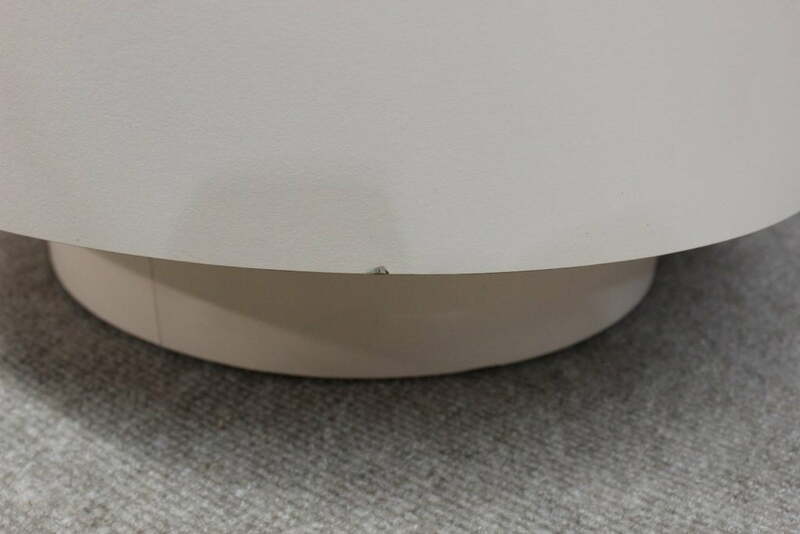 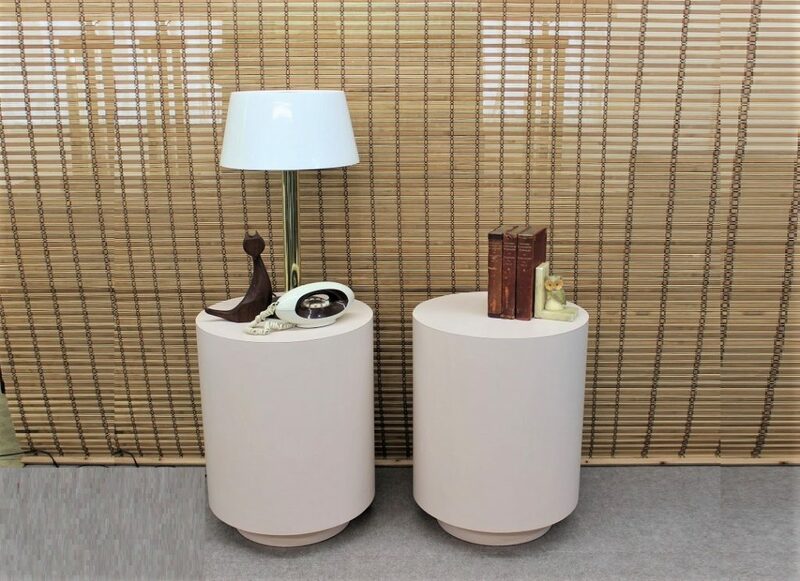 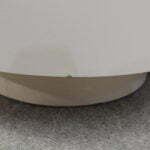 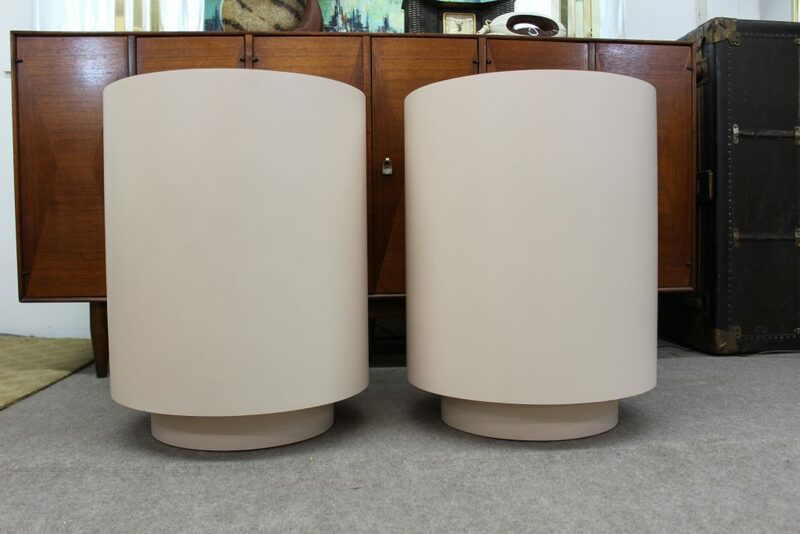 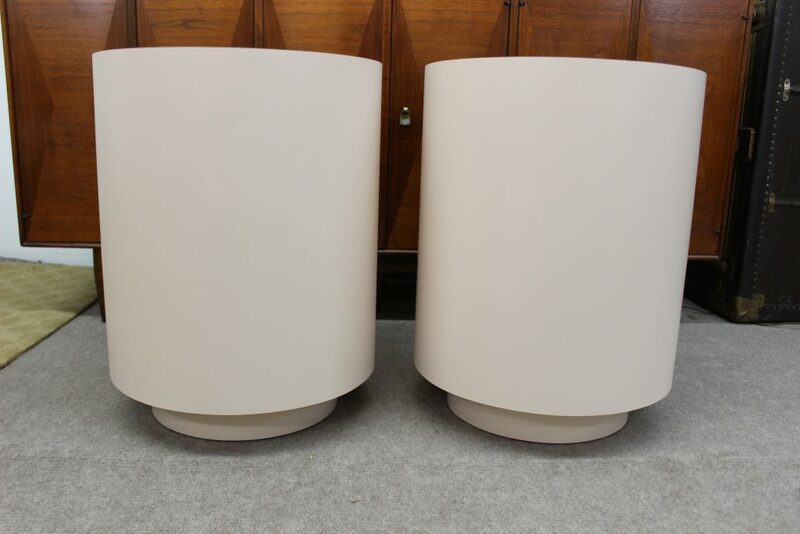 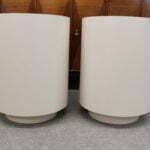 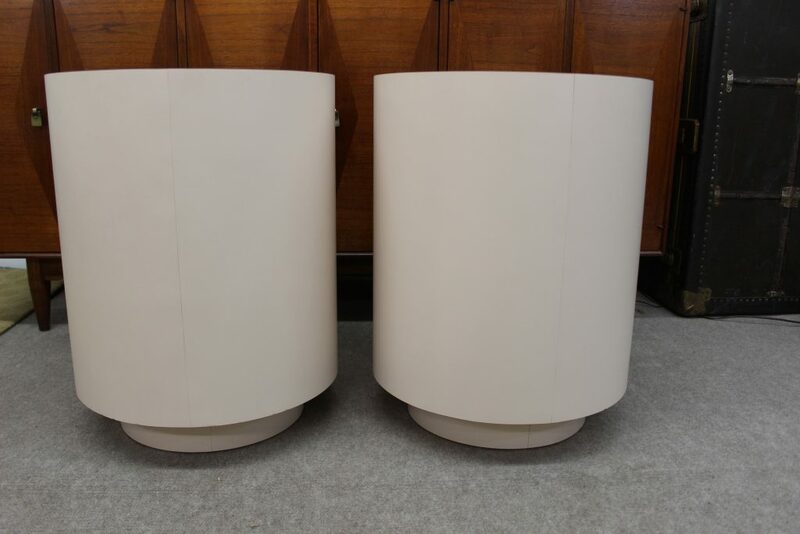 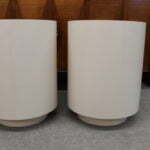 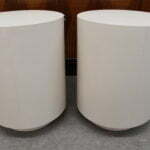 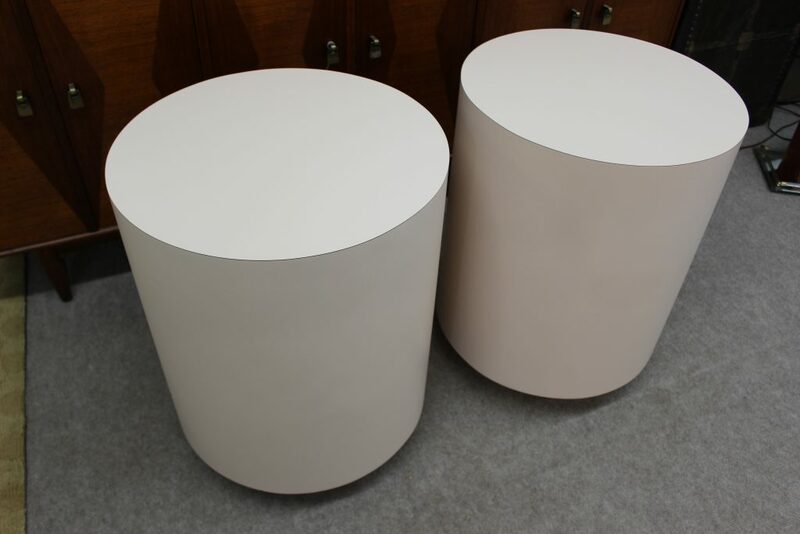 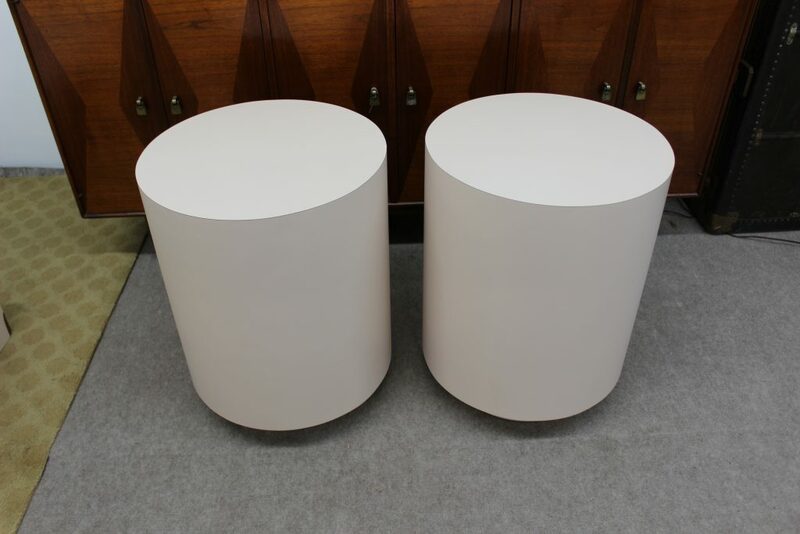 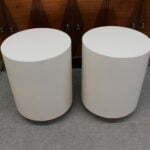 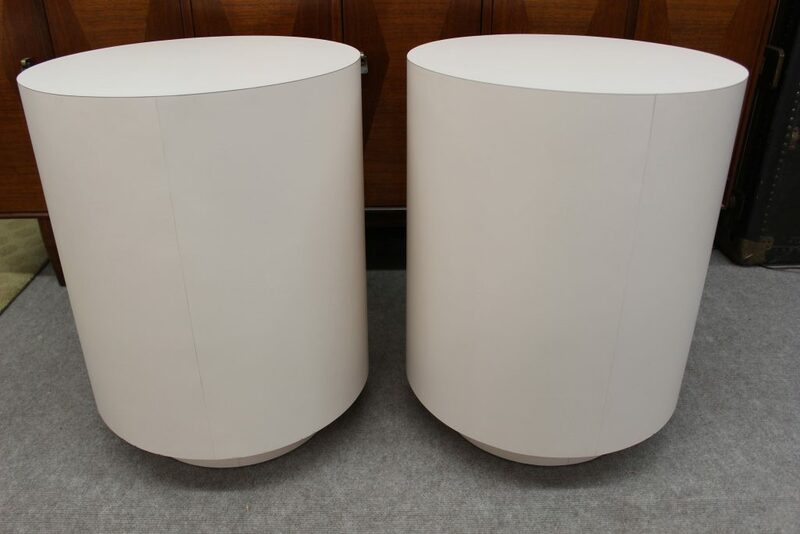 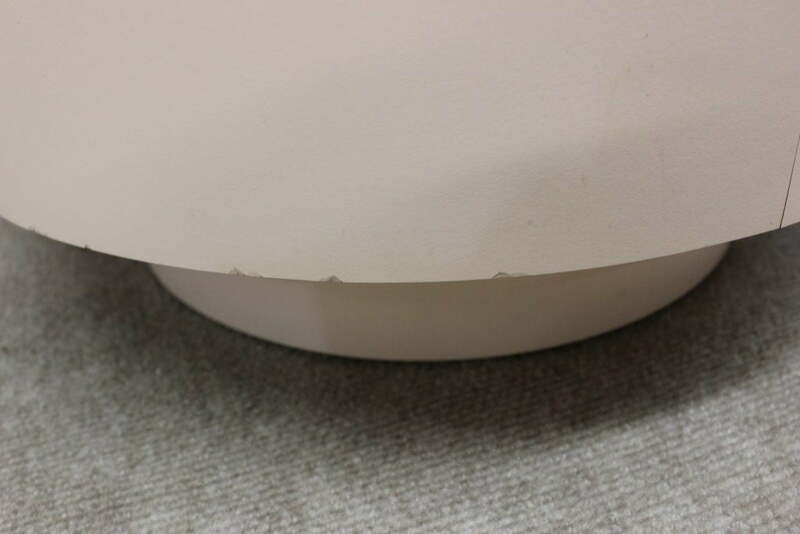 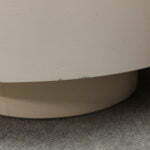 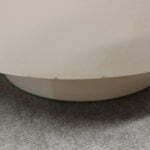 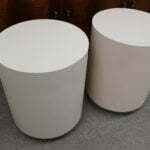 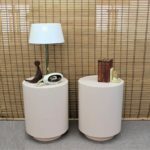 This beautiful pair of round pink laminate end tables has beautiful clean lines. 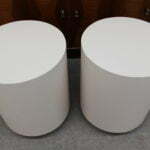 The round shape of their body is just perfect for not hitting your knees (in case you are like me, that is). 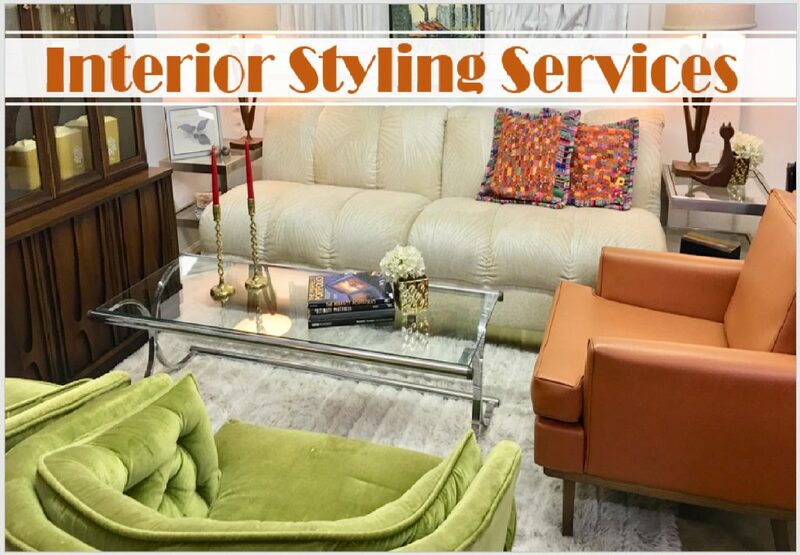 Super easy to integrate into any decor style. 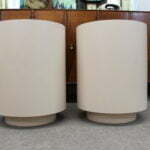 This beautiful pair has the soft pink color of the Mid Century Modern period. 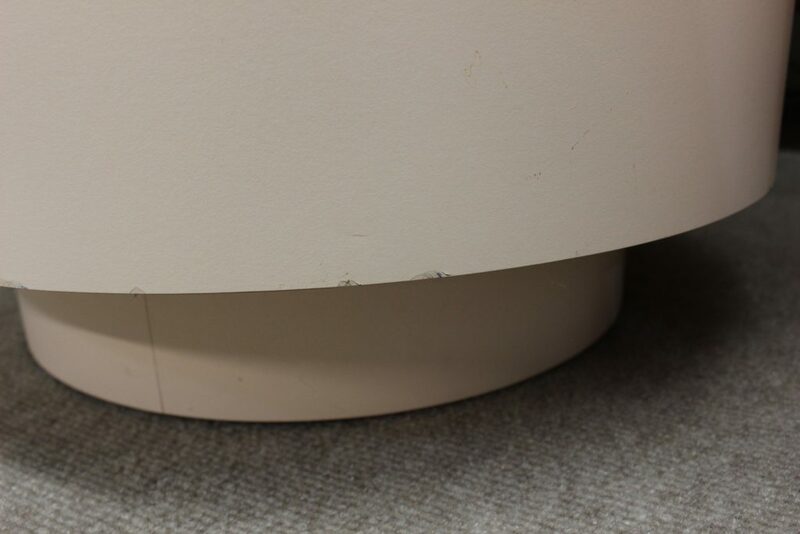 The laminate is in good condition except for the tiny little chips pictured on the edge. 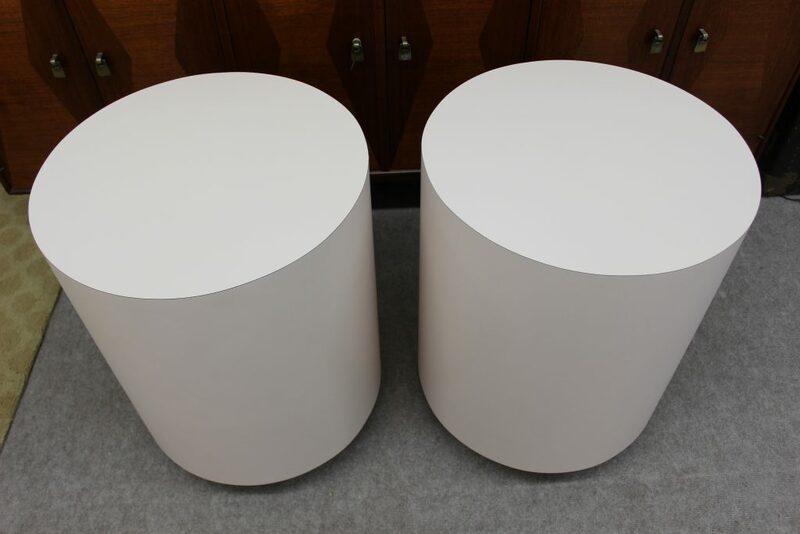 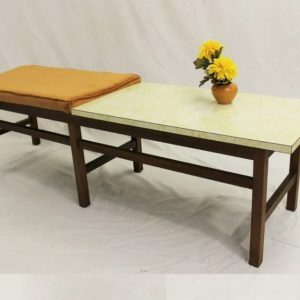 These awesome tables measure 23″ high by 18″ wide. 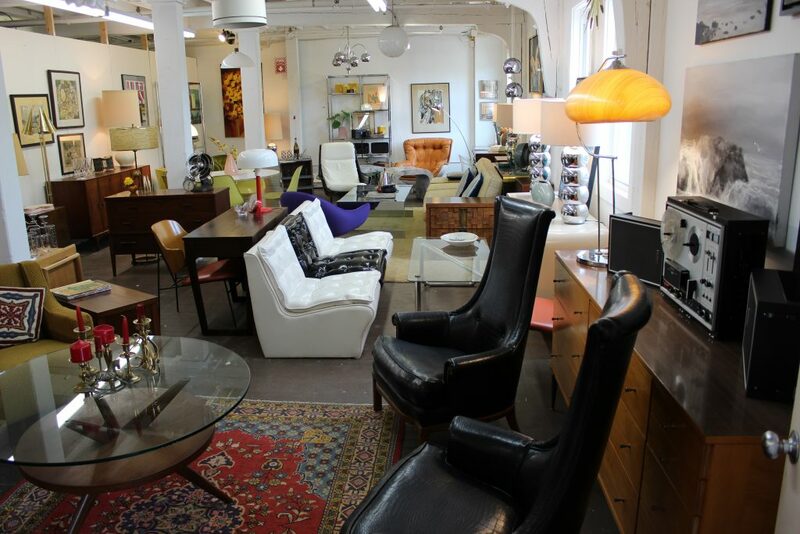 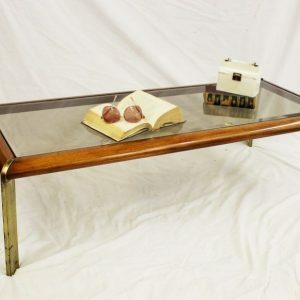 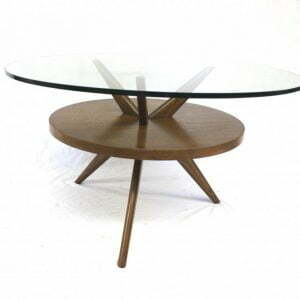 There is a nice pair of end tables that go with this beauty so don’t miss them!